If you’re like us, the brackets you filled out for your NCAA Basketball tournament pool were over long ago. But the tournament continues this weekend with the Final Four, and we need to find a new team to root for. Rather than picking winners by mascots or favorite location (we tried that before and it didn’t work), we thought we’d take a different approach: picking a winner that plays its games in a metal-clad arena! Based on this, our pick to be cutting down the nets Monday night is the University of Louisville, which plays its home games at the KFC Yum! Center. 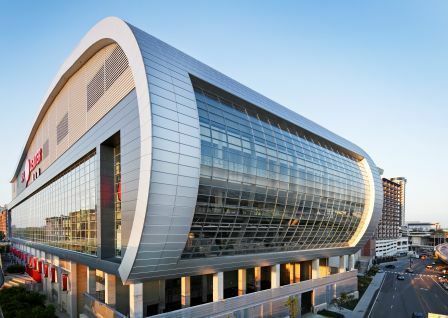 The stadium features high-performance building technology and stunning aesthetics, thanks to CENTRIA’s Formawall Dimension Series panels and a design that focuses on transparent facades and natural lighting. 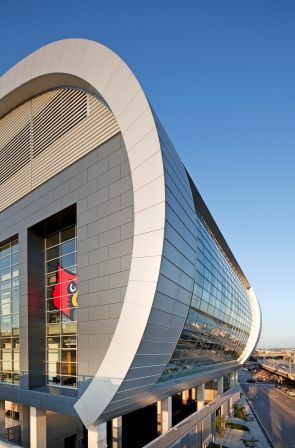 The winner of an AIA Kentucky Merit Award, the new arena was completed in 2010, and has since hosted its share of major college hoops action. Conveniently, the Louisville Cardinals are the only number one seed to make it to the 2013 Final Four, so we like our odds. Worth noting is that Atlanta’s legendary Georgia Dome is the host to this year’s Final Four. 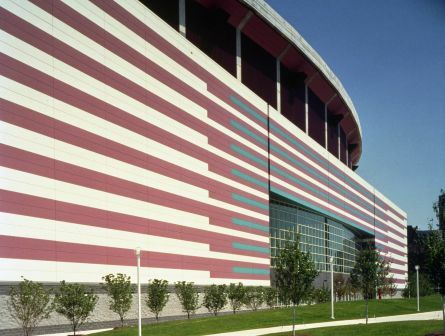 This enormous arena is a masterpiece of form and function, sporting over 200,000 square feet of CENTRIA’s Formawall Dimension Series insulated metal panels for the best in advanced thermal and moisture performance (ATMP®). 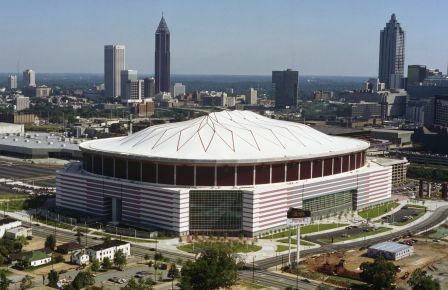 The current home of the NFL’s Atlanta Falcons and the former home of the NBA’s Atlanta Hawks, the Georgia Dome is among the largest domed structures in the world and a staple in the landscape of global athletics—from the 1996 Olympic Games to the legendary Super Bowl XXXIV. Of course, it’s also the home of the 2013 NCAA Final Four! Regardless of the winner, we’re sure there will be some exciting basketball. We’ll be tuning in to see how our prediction unfolds.